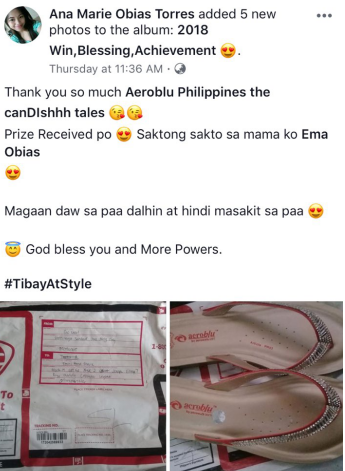 the canDIshhh tales: Aeroblu (follow up) Review & Winners! 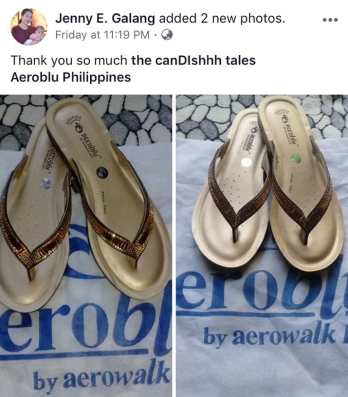 Its been more than a month of wearing my aeroblu footwear. Anong masasabi ko? It’s wonderful! 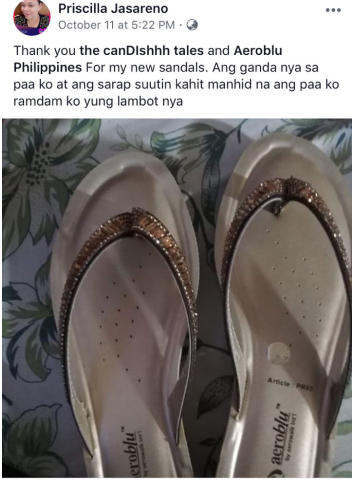 Malambot sa paa. 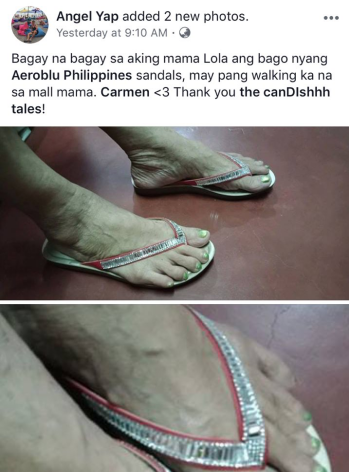 Talagang pang lakaran! I honestly thought baka madaling masira, but it still looks new kahit everyday kong gamit. 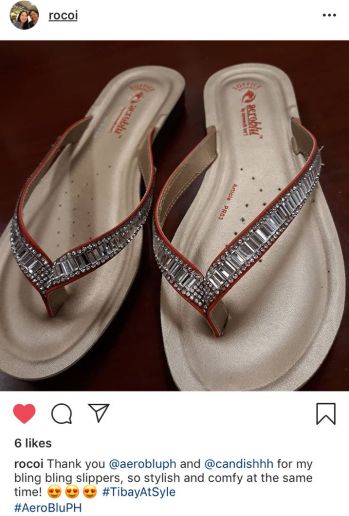 I’ve found a comfy, pretty and affordable alternative for closed shoes! It’s now my choice of footwear when I go out for errands, supermarket runs and etc. I bring it with me sa car when I have a formal occassion that I attend. Para habang nasa car, comfortable and well rested ang feet! How I wish may heels na ganito or wedge. Hahaha!! But in all seriousness these are affordable comfortable shoes. The best thing is that its matibay (durable) and is available in so many places! Madaling hanapin, di kailangan hagilapin. Perfect, diba? The insoles are soft, comfortable lakarin. When I take it off pag uwi ko, i thought na pudpod na ang insoles. But guess what?! It bounces back to its original state! Amazing diba? Parang mala memory foam ang dating! Kaya I’m super impressed.